So after a month of hanging around on DTT and posting my intro showcasing some of my Suzuki's... 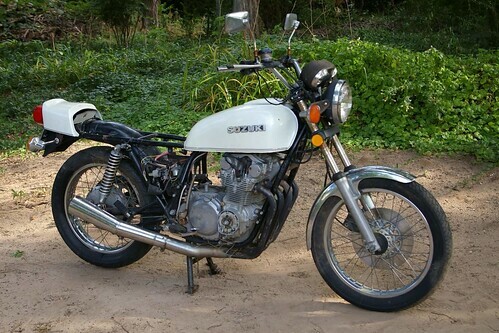 I figured I'd go ahead and start a thread about my 1977 GS550*. It'll be reconstituted more or less as a "standard" bike though it won't be a full restoration. Anyways - some photos of the GS550. This project will be s-l-o-w going. I have a newer Suzuki that I ride when I feel the need to spin tires so I'm in no major rush to get this machine up and running. 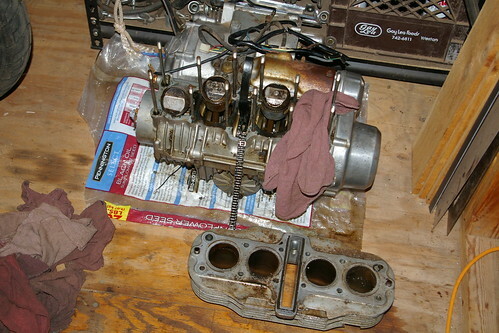 And of course I have the other mentioned ongoing bike projects to divert my attention. Add in the daily routine of work, spending time with the wife unit, house remodeling, playing with firearms, gardening/yard work, etc... so yeah... a very slow project. Well... I said in my above post that this was going to be a very s-l-o-w project... and so it will continue to be. A week an a half after posting I was out riding one of my bikes when I was broadsided by an elderly 81 year old driver in a SUV who didn't see me. The last time I was hit was back in 1984 when I was nineteen years old. This accident hurt more... must be my age catching up with me. It's taken a month to finally get where I can get around without a noticeable limp and I've regained use of my left arm. My back still has some pain but at least it's not related to spinal injuries... more muscular than anything. I'm wore out by the end of the day. Hopefully this will improve with time. 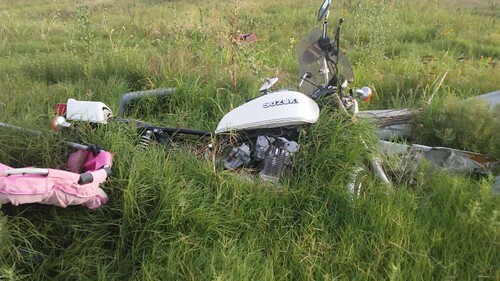 The bike (2016 TU250) ended up with only minor damage. Nothing that I can't repair. My helmet needs to be replaced as it took a good thump when I hit the road. Flat spotted a portion of it as it scraped along the asphalt. 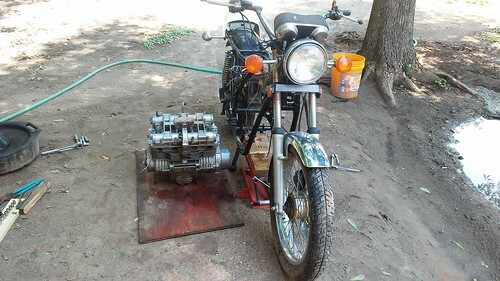 Anyways, my motorcycle mojo sort of ebbed away as a result but is slowly coming back. 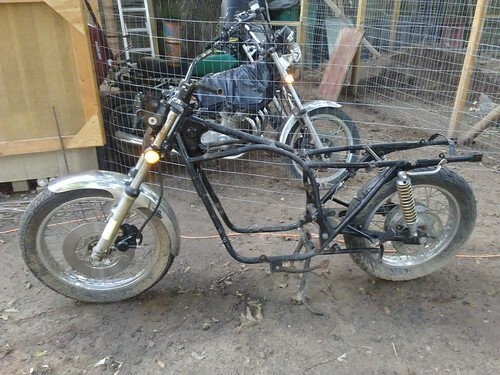 I've got an appointment to look at a parts bike tomorrow for one of my other project bikes. Not quite ready to give up on the hobby. Glad you are ok! Heal up and get back on the horse. Thanks for that. I'm taking it a day at a time. 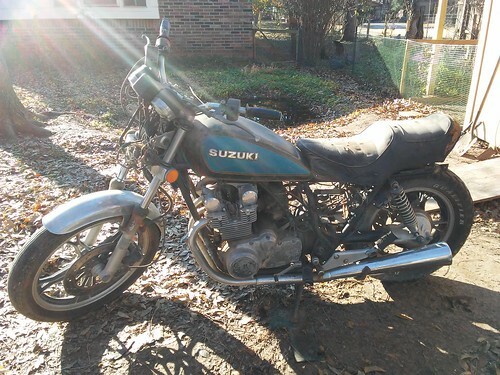 So I went to look at a 1981 GS650L shaftie to be used as a parts bike. Got it up for $100. 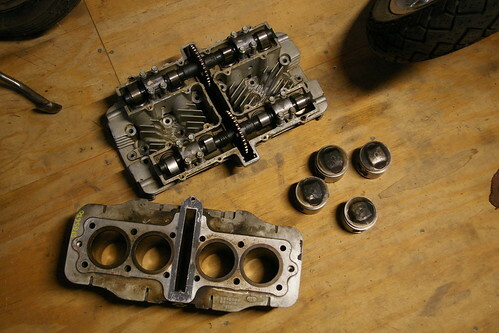 Although I'd already picked up GS650 top end parts from various sellers on ebay to be used on the GS550... picking up a complete donor motor for those same parts was an offer I couldn't pass on. I'll sell off the parts I don't use and recoup my investment eventually.